SaneDesk initially creates four workspaces. Each workspace can host any number of icons and has its own background. All your icons are initially assigned to the first workspace. If you switch to any other workspace you will see no icons - none are assigned to that workspace yet. Since you didn't set background image yet, all workspaces look alike. 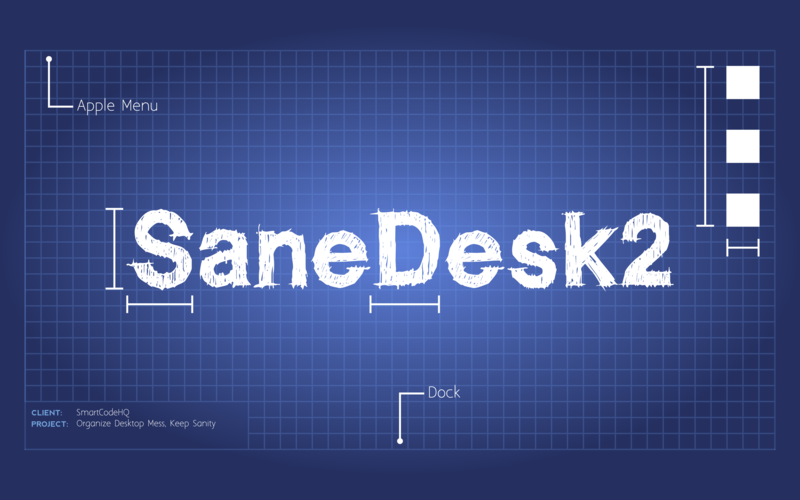 Use SaneDesk menu to navigate around. Set workspaces so they fit your needs. Create new ones, rename or remove existing ones. Back to primary workspace. All icons are still there. Grab any number of them, drag them to SaneDesk menu bar icon, wait for drop zone popover to show, drop them to any other workspace to assign them there. Turn on 'Handle Background' in preferences and you can set individual background for each workspace. What a great way to see where you are at, at any moment! From desktop mess to desktop sanity in a few easy steps. Done. Workspace change is complete change of scenery, making you more focused and more efficient. Desktop is the only place where you can visually organize files and folders. Using muscle memory to access your files and folders is a brilliant way to work, usually much faster that when you use Finder and regular non-desktop folders. Sadly, with too many icons, folders or projects you're working on at the same time, desktop soon goes out of control. Wallpaper should reflect what you do. We don't want same backgrounds for our work or play time. Standard desktop always stays the same, no matter what you do: wallpaper and desktop icons do not change. What if you could change them on the fly, depending on what you want to do? Hide desktop icons entirely or show them all? That would be like adding entirely new dimension (of sanity) to your regular workflow. You could have separate workspace for work, another one for the entertainment, you could even have separate workspace for each project you are working on. Click above to download fully functional 7 days trial. Click below to unlock time limit. "Love this app. Does something simple that makes a big difference for my productivity." - kbart60, Mac App Store. "This app solves a vexing problem in a really smart way. And it does it just the way you expect it too." - Grant27, Mac App Store. 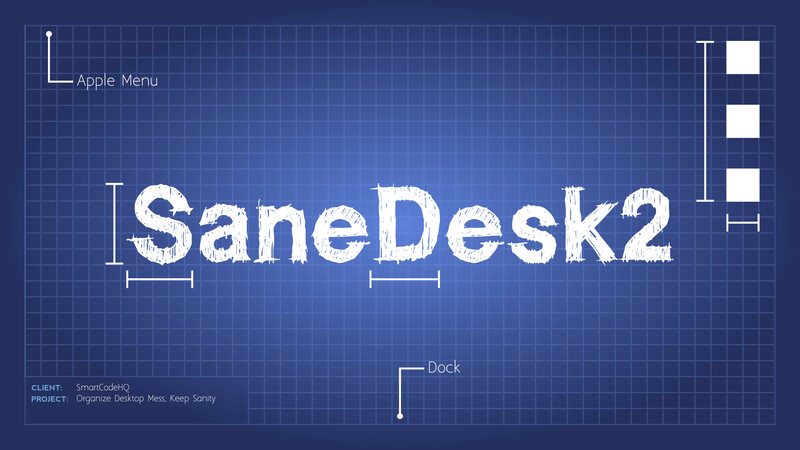 "An app like SaneDesk has a few clearly visible advantages, starting with the issue of productivity." - Tim Brookes, makeuseof.com review.